There’s not much we love more in life than a good Pumpkin Spice Latte…or a Salted Caramel Mocha…or a Chile Mocha (someone please stop me), and Starbucks has us covered. Now, it may be even easier to get our hands on one — if you live in Snoqualmie, WA, at least, and go to the Snoqualmie Ridge location. It’s testing out Curbside Pickup, reported Refinery29. Yep, that’s exactly what it sounds like. At that location, you can order your favorite Starbucks drink (or food) via the app and drive up to the store — and then a barista will bring your order out to your car. Easy! Currently, this store’s location does not have a drive-thru, which means Curbside Pickup could be huge. According to Living Snoqualmie (and Starbucks policy), for Curbside Pickup, the baristas have to stay on the Starbucks sidewalk and cannot come out and find you in the parking lot. However, there is a designated area for customers to drive into. Sounds good to us. One caveat: There’s a time limit, 6 a.m.-6 p.m. daily. I mean, we were already crushing on the app, which lets us order and pay for our drink(s) in advance, and then all we have to do is go inside Starbucks and pick it up. 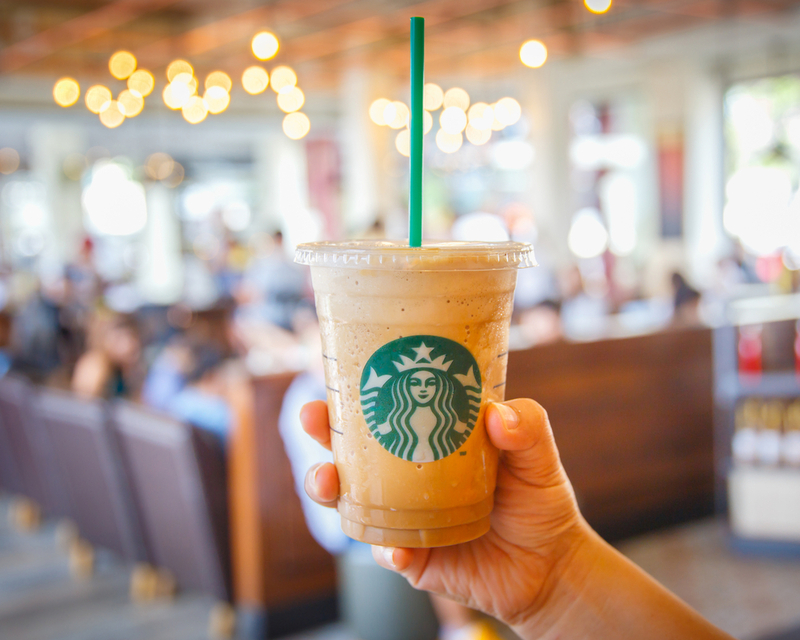 And, apparently, we’re not the only ones who love this — across all Starbucks stores in the U.S., an estimated 4% of sales are done via the app, according to Eater. Wow — that’s a lot of busy phones ordering up Starbucks drinks. It has “meet or beat all company expectations,” said Brotnam. As for Starbucks being delivered straight to our cars? Yes, please. The curbside service will be tested at the Snoqualmie Ridge location for six weeks, according to Living Snoqualmie, with no word of other testing locations. Personally, though, we’d love for it to do a trial run in L.A. or NYC (hint, hint, Starbucks).